Mr Lee Grant’s career was fast moving. Once it kicked into action with the success of ‘Opportunity’, a string of successful singles followed. The popularity of the TV show C’mon led to the C’mon Spectacular Tour, then the Golden Disc Spectacular tour. Appearing on C’mon was not a one-day a week booking for the resident performers. On Sundays they recorded the audio tracks for the following Saturday’s show. Monday afternoons the musical director instructed the band and vocalists on the songs chosen for the following week’s show (not the upcoming weekend). The dancers rehearsed Tuesday and Wednesday; a 1967 NZ Listener story politely refers to the show’s “ballet dancers”. On Thursdays there was a “dry run” rehearsal prior to the final set being in place. Saturday was the big day with a 10.30am start and repeated run-throughs. Late afternoon there was a full dress rehearsal, then a tea break and at 7pm the 30-minute show went live to air in Auckland on AKTV-2, in front of an audience of 150 teenagers. Videotapes were made for later broadcasts out of Wellington, Christchurch and Dunedin. Saturday nights, the crew and performers regularly watched a playback of the taping after the show went to air. Grant’s debut album was released to coincide with a nationwide tour and his new single ‘Thanks To You’ entered the New Zealand Singles Chart on 11 August. It reached No.1, stayed in the top spot for three weeks, and remained on the chart for 10 weeks. From 1966 until 1970 places in the New Zealand Top 20 were determined by NZ Listener readers sending in a coupon with their votes. In Radio Hauraki’s September 1480 Club News, Mr Lee Grant denied two rumours: “He’s not going into the Army and he is not going overseas, not for a while anyway.” There were still achievements to pack in this busy year. Three months after Grant topped the charts with ‘Opportunity’, the Entertainer of the Year award was announced on Tuesday 5 September 1967. Howard Morrison won the previous year; the winner of the 1967 award was uncertain. Grant, 22 years old, was a new kid on the block in respect to record sales and he had no foreign success. The Award was given by NEBOA (the National Entertainment Ballroom Operators’ Association), which was primarily concerned with ticket sales at their venues. Long before he had a hit record, Grant was earning good money for ballroom operators around the country. The night of the awards Grant was on the C’mon tour, but near to Auckland. Two hours after he stepped off the stage of Hamilton’s Embassy Theatre, he stepped on the stage of Trillo’s ballroom in Auckland to receive his golden statuette for Entertainer of the Year. As the Golden Disc Spectacular tour progressed through the country, Grant’s manager feared that the tour would continue in perpetuity, as Phil Warren had a hit show on the road. Other musicians on the bill were Sandy Edmonds, Larry’s Rebels, The Avengers, The Gremlins, Herma Keil and Ray Woolf. The singer compered his own national radio show. The Carousel Show was 15 minutes in duration and on 12 radio stations. Grant told the Sunday News that his style was to “just be himself”, not a high-pressure DJ. New sounds? “I don’t like psychedelic sounds but I like the new Beatles album.” Grant’s favourite track on Sgt. Pepper’s was ‘Lucy In The Sky With Diamonds’. Next time Kellaway did an interview, in November 1967, time was tight, so he spoke to Grant, “in a car as it sped towards Wellington airport.” The singer was delayed at the gate of HMV’s head office by fans wanting autographs. A 1967 Loxene Golden Disc TV show was broadcast on the 2nd of November, two days before the ceremony. Funded by shampoo manufacturers Reckitt & Coleman, the “television spectacular” was directed by the NZBC’s Chris Bourn, who made 10 individual film clips of each finalist in advance. These mean the acts had music videos decades well before the MTV era. The Sunday News asked: “Don’t fellow artists like Grant, or are they just bad losers?” The reality was that musicians would not give up lucrative weekend work to travel to a Saturday ceremony and even most eight-year-olds knew that Mr Lee Grant would win. In New Zealand the Christmas 1967 chart battle was a three-horse race: ‘Snoopy’s Christmas’ by The Royal Guardsmen vs ‘Hello Goodbye’ by The Beatles vs Mr Lee Grant’s ‘Movin’ Away’. ‘Snoopy’s Christmas’ won: Grant’s single debuted on the Listener chart on 22 December and peaked at No.2 for two weeks. Groove magazine’s less legit “Pop Parade” had ‘Movin’ Away’ at No.1 on their February 1968 chart. In 1968 Grant had three more Top 10 singles: ‘Why or Where or When’ entered the chart on 15 March and was No. 1 for two weeks; ‘Rivers Run Dry’ debuted on 14 June, peaking at No.5; and ‘Bless You’ entered the charts on 30 August , peaking at No. 6. 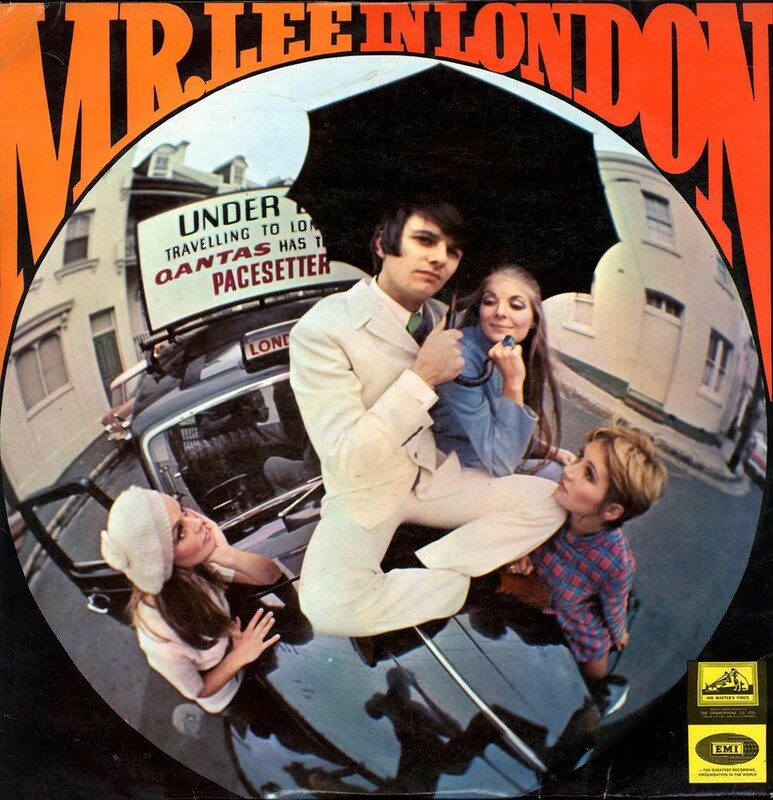 The taxi that Qantas brought to New Zealand to promote the Pacesetter fares appeared on the cover of his second album Mr. Lee in London, recorded in Wellington. 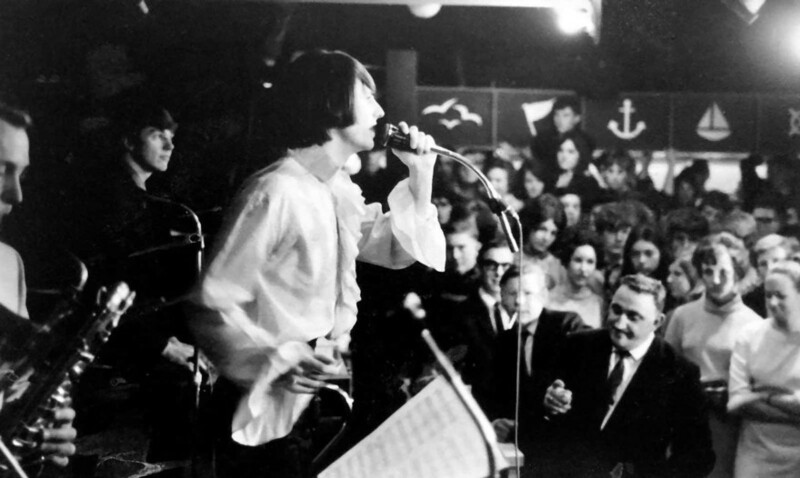 Grant spent two weeks in Sydney in February 1968, appeared on five television shows, then returned to Wellington to complete the recording of his second album before his farewell tour. At his “G-I-G-A-N-T-I-C FAREWELL SPECTACULAR” concerts at the Auckland YMCA on 24 February he performed a 6pm and an 8pm show; also on the bill were Eliza Keil, The Real Thing (Alan Galbraith and Ken Murphy), the Clevedonaires and compere Rhys Jones. The newspaper advertisement for the shows announced “MR LEE GRANT FLIES QANTAS TO LONDON”. En route to London, Grant visited Sydney where he did further promotional work for HMV’s release of ‘Thanks To You’ with ‘Opportunity’ on the B-side. While there, Grant and Cadwallader stayed with Dinah Lee and her personal assistant Bobi Petch. In the 1960s it was bizarre that small indie labels such as Zodiac (Ray Columbus and The Invaders, The La De Da’s) and Viking (Dinah Lee) could have success in Australia, yet the dominant player in both markets, HMV could not (with one exception: Allison Durbin in 1968). I asked former HMV producer Alan Galbraith whether there was a bad relationship between HMV (NZ) Ltd and HMV Australia. In New Zealand, however, there was no stopping Mr Lee Grant. His new single ‘Why or Where or When’ entered the charts on 15 March 1968, and stayed at No.1 for two weeks. She said that Grant had commenced acting and speech lessons in London. This suggested that from day one, the singer intended to broaden his career into musical theatre. Mr Lee Grant returned to New Zealand on 15 June 1968 for a three-week tour to promote his second album Mr Lee In London. The album was recorded in March, before he left the country. While in New Zealand he appeared on C’mon and made his own half-hour TV special with director Chris Bourn. On Grant’s arrival home, his new single ‘Rivers Run Dry’ entered the Listener charts, where it reached No.5 and stayed for 10 weeks. Mr Lee in London, HMV, 1968. Mr Lee's Grant's second album was produced in Wellington by Garth Young; the cover photograph was also taken in New Zealand. It featured recent pop standards such as 'You Don't Have to Say You Love Me', 'Stop in the Name of Love' and 'The Wanderer'. 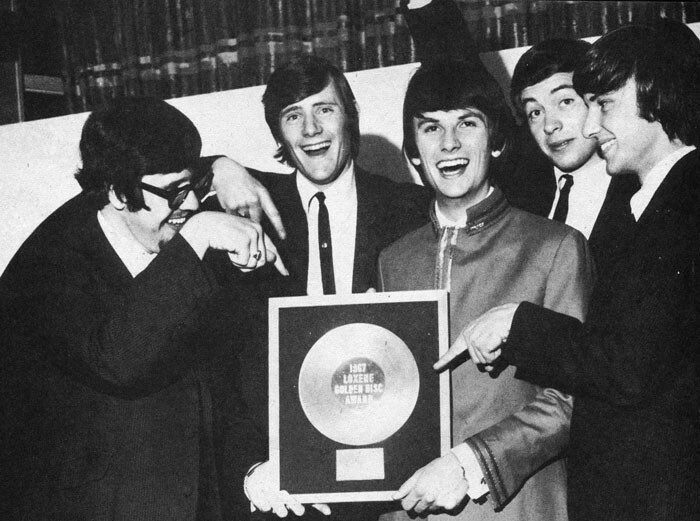 With Mr Lee Grant back in London, HMV had their final Top 10 record with the singer, the 1968 Loxene Golden Disc Awards entry ‘Bless You’. After entering the charts on 30 August, it remained there for nine weeks, peaking at No.6. In 2016, former manager Dianne Cadwallader was asked if the money spent on PR was a waste of time? “No,” she said. “It got us some very good introductions.” Another New Zealander they met was Selwyn Turnbull, head of promotions for Decca Records, who worked from the label’s stand-alone promotions office in London’s West End. Mr Lee Grant featured in Jackie magazine on 15 June 1968, with the cover heading – “Lee Grant, the good-looker from upside-down land”– just above “Fish and Chips with The Beatles.” Inside was a full-page colour photo of Grant, illustrating a story taking one-third of a page. Although HMV (NZ) Ltd had achieved a remarkable string of hits for Mr Lee Grant, his manager wished to end the contract so the singer could start afresh in England. Cadwallader had not liked working with HMV’s record division manager Graham Feasey, and she knew that HMV in Wellington did not wish to help Mr Lee Grant succeed in London. An indication of the fast-moving New Zealand pop business is in a half-page advertisement HMV took in Groove magazine in September 1968. The headline says, “In the Loxene Golden Disc Award HMV present half the Top Ten”. Among the songs listed is Mr Lee Grant’s entry, ‘Bless You’, but the other HMV contenders are stronger tracks: Allison Durbin’s ‘I Have Loved Me A Man’, The Avengers’ ‘Love Hate-Revenge’, The Fourmyula’s ‘Come With Me’ and The Simple Image with ‘Spinning Spinning Spinning’. Having burnt their bridges with HMV in New Zealand, if they wanted future success in their home country Mr Lee Grant and his manager had to sign with a London label that was not distributed by HMV in New Zealand. In 1970 it was announced that Mr Lee Grant had signed with multi-millionaire talent agent Harold Davison, the man who broke The Dave Clark Five in the USA and who, in 1968, was representing acts as diverse as Jimi Hendrix, Dusty Springfield, Lulu, The Small Faces, and Paul and Barry Ryan. Davison was the also the stepfather of the Ryan twins. One of the big singles of 1968 was the Barry Ryan’s solo release ‘Eloise’, which reached No.2 on the UK Singles chart in late October. ‘Eloise’ was produced by Bill Landis, who was then hired to produce Mr Lee Grant. “He was supposedly the ‘producer de jour’ so we felt very pleased when we got to work with him,” recalls Cadwallader. Two years after his arrival in London, Lee Grant released his first single, ‘A Little Love And Understanding’ on the Decca label with several backing vocalists including Kiki Dee and Reggie Dwight, who was about to break through as Elton John with Empty Sky (1969) and Tumbleweed Connection (1970). “Lee Grant gets break at last” is the heading in the Auckland Star (27 April 1970). The singer told the Star, “I just can’t believe that after all this time it really is happening.” The newspaper reported that the song was “fast and up-tempo with a big backing of 26 musicians and 10 voices [and] written by three of Britain’s top songwriters [Roger Cook, Roger Greenaway and Jonathan King]." The Decca label was released in New Zealand by HMV, so the fate of Mr Lee Grant’s new single was in the hands of the label he had left 18 months earlier. During all that time, Grant gave no interviews to New Zealand media. “I’ve stayed silent because there’s been nothing to tell people,” he said. “I didn’t want to build mountains out of tin cans. There’s been nothing to tell them – until now.” Grant’s media silence was made more pronounced by John Rowles, who had two massive hits in the UK in 1968, ‘If I Only Had Time’ and ‘Hush Not A Word To Mary’. Rowles made having a UK hit single look easy. The singer had returned to spend a fortnight with his sick mother, then go on a five-week tour performing at soundshells and hotels. A New Year’s Eve concert at Western Springs brought talent from several summer beach tours together for a one-night stand. For $1.50 the audience saw a line-up that included Mr Lee Grant and the stars of TV show Happen Inn: Craig Scott, Angela Ayers, Bobby Davis, Bunny Walters, The Yandall Sisters, and Noazark. The compere, of course, was Peter Sinclair. Sixties archivist Grant Gillanders was there and noted that Grant played his 1970 Decca single, ‘A Little Love And Understanding’. Trevor Judge of Noazark estimated that the Western Springs audience that night numbered 6,500. Kominowski’s opportunity finally arrived to perform on London’s West End in 1977, when he was signed to be an understudy to PJ Proby in Elvis, the Musical at the Astoria Theatre. Proby’s role was to play the older Elvis Presley, who had died three months earlier. It was ironic that Grant was to understudy a performer who was once his idol. In 1967, he had named Proby as the singer “whose style probably influenced me most.” In 1978 Grant replaced Proby as Elvis in the Vegas period, and continued in the role for a year. While Kominowski was enjoying his newfound stage success in London, a TVNZ current affairs team was looking back at the healthy local pop scene of the 1960s. They were debating which came first, the chicken or the egg? The discussion went something like this: if C’mon was the chicken, was Mr Lee Grant the egg? Mr Lee Grant’s departure for London must have angered C’mon producer Kevan Moore in 1968, but a TVNZ Good Day documentary from 1978 looking at music TV and the music industry suggested that Moore may have been quite confident he could create another Mr Lee Grant with ease. 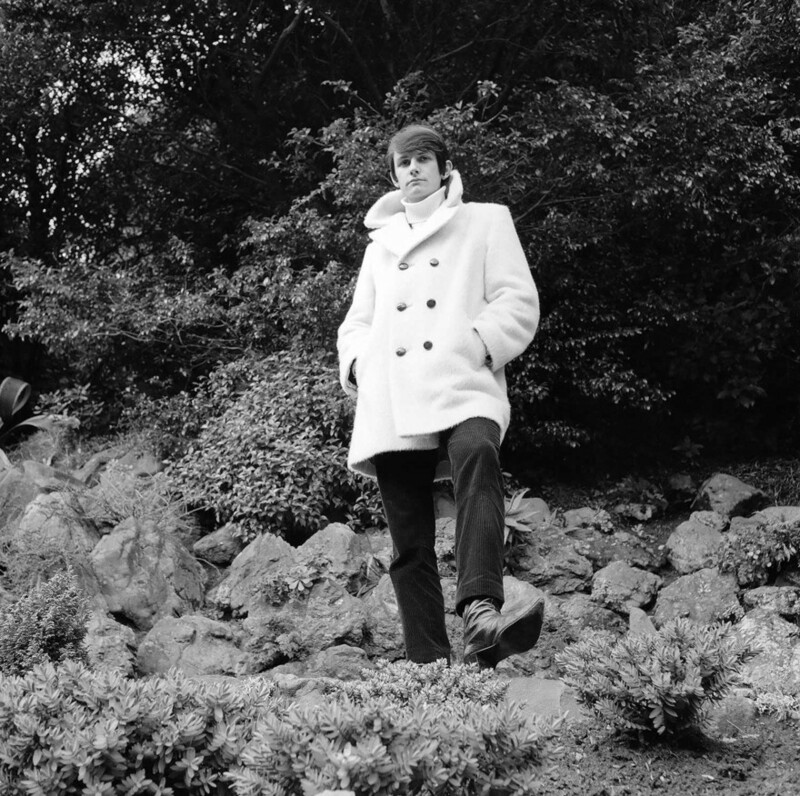 Grant still topped the Groove magazine readers poll in 1968, but the following year Shane won, and his massive success with ‘St Paul’ was in part due to C’mon exposure. After getting his first London breaks with Hair and Elvis, regular UK acting work followed, on stage, television and in some films. Kominowski’s roles included Count Dracula in Rockula, The Dentist in Little Shop Of Horrors, and Jesus in a West End resurrection of Jesus Christ Superstar. In 1993 he returned to New Zealand tour to play the Phantom in Stewart Macpherson’s promotion of Phantom Of The Opera. 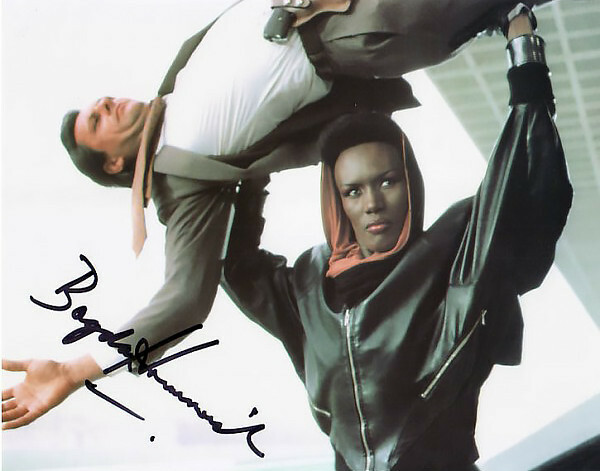 The serious (not silly) sounding name Bogdan Kominowski did lead to quite a few roles acting roles as European-accented villains including the villain Klotkoff in James Bond’s A View to a Kill (1985) where he got to tangle (unsuccessfully) with Grace Jones. He has also done voice work, sung jingles and modelled for the advertising industry. In 1980 Kominowski was a guest singer – as “Bogdan” – on the successful, Lulu-fronted rock and roll revival TV show Let’s Rock. 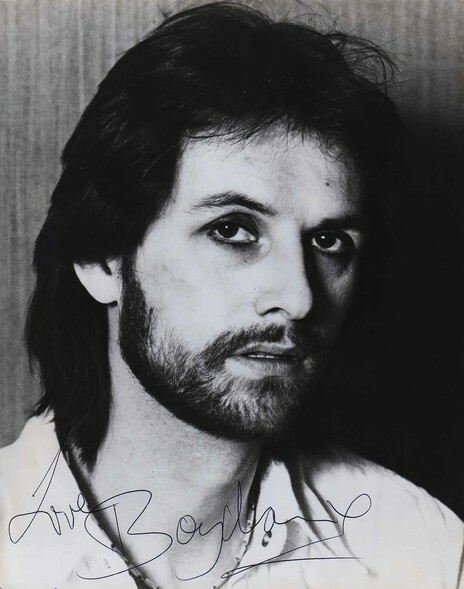 In 1981 came another Bogdan single, ‘Who Do You Think You Are!’, released on the Brilliant label with the catalogue number Hit 1. In the early 1990s, he sang on Sarah Brightman’s ‘Everything’s Alright’, which appeared on her album Sings The Music Of Andrew Lloyd Webber. To close friends only, Kominowski will play a recording of his jam session with Tony Iommi when he auditioned for the singer vacancy in Black Sabbath. When not on a stage or set, Kominowski used his Kiwi do-it-yourself skills to master the art of renovation. In 1989 he was described by the Woman’s Weekly’s Julie Roberts as “a keen amateur ­property developer” as he had “restored and redecorated his beautiful half-million pound home with such style it’s now sought after by film producers.” The Townhouse, situated in tree-lined Acton, West London was used in a Buddy Holly movie made for UK TV. At the time the story was written, Grant was deciding whether to allow a Swedish crew to do a two-week shoot. “Which means I’ll have to move out. But at £1,000 a day, it’s a hard request to refuse,” he laughed. When Kominowski met some very talented Polish artisans who could restore historic mansions but not speak English, he saw the opportunity to use his fluency in what the craftsmen call “posh Polish” to broaden his do-it-yourself sideline into a bigger enterprise that refurbished ailing mansions. The demands of the renovating business – the heavy touring schedule – stopped Grant signing up as the new singer for The Hollies, after Carl Wayne died in 2004. The touring schedule of The Hollies was too much for Kominowski. Nearly 50 years after the heyday of Mr Lee Grant, Kominowski is not forgotten in New Zealand. He made a rare return to local gossip columns in 2013 when, at the age of 68, he married his longtime girlfriend Joanna Rowley, an executive at the National Geographic Channel. The Herald on Sunday reported that the newlyweds planned to honeymoon at their villa in Portugal.